Dr. Thomas C. Crawford is the principal investigator of My Heart Your Heart. He is an Assistant Professor of Medicine at the University of Michigan. Dr. Crawford graduated from the University of Tennessee School of Medicine in 2000. He completed his residency in Internal Medicine at Duke University Medical Center in 2003. He received his cardiology and electrophysiology training at Washington University, St. Louis, and the University of Michigan. He joined the faculty of the University of Michigan Electrophysiology Section in 2008. Dr. Crawford has published more than 80 peer-reviewed manuscripts in the field of atrial fibrillation and ventricular tachycardia ablation, cardiac sarcoidosis, and sudden cardiac death. He has also authored numerous review articles and book chapters. Dr. Crawford is on the editorial board of Cardiosource and a peer reviewer for Circulation, Circulation Arrhythmia and Electrophysiology, heart Rhythm, Journal of Cardiovascular Electrophysiology, and Pacing and Clinical Electrophysiology. He is a coinvestigator on an NIH grant studying predictors of cardiomyopathy progression in a Chagas disease cohort in Bolivia. 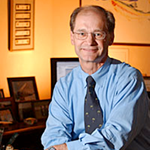 He has been an investigator in several device therapy trials. Dr. Crawford has an interest in improving access to healthcare in low and middle- income countries. He has travelled on numerous medical missions and has first hand experiences in healthcare delivery in Africa, South America, Asia, and Europe. Kim A. Eagle, M.D., M.A.C.C. Dr. Kim Eagle is co-founder of Project My Heart Your Heart. He is the Albion Walter Hewlett Professor of Internal Medicine and Director of the Cardiovascular Center at the University of Michigan Health System. He graduated from Oregon State University in 1976 and from Tufts University Medical School in 1979. He completed his residency and chief residency in Internal Medicine at Yale-New Haven Hospital from 1979 to 1983, followed by research and clinical fellowships in cardiology and health services research at Harvard Medical School and The Massachusetts General Hospital from 1983 through 1986. From 1986 to 1994, Dr. Eagle served The Massachusetts General Hospital where he was promoted to Associate Director of Clinical Cardiology and Associate Professor of Medicine at Harvard. Since his recruitment to the University of Michigan, he has overseen a vigorous outcomes research program focusing on quality, cost-effectiveness, use of practice guidelines in cardiovascular care, evaluation and management of acute coronary syndromes, the evaluation and management of aortic diseases, the fight against childhood obesity, heart disease in special populations and reuse of pacemakers in third world nations. His outcomes research team has led quality improvement initiatives across the state of Michigan in acute MI, heart failure and coronary angioplasty. Dr. Eagle has contributed extramural presentations to nearly 83,000 learners in 30 U.S. states and eight countries. He has published more than 370 peer-reviewed articles, 49 chapters, and edited seven books including his latest, The Heart of a Champion, co-written with legendary Michigan football coach, Bo Schembechler. He maintains an active inpatient and outpatient practice and was a member of the team that created the University of Michigan Cardiovascular Center. Dr. Timir S. Baman is co-founder of Project My Heart - Your Heart. He is currently an Associate Professor as well as a Clinical Electrophysiologist at University of Illinois College of Medicine in Peoria IL. He graduated from the University of Chicago in 1998 and the Pennsylvania State College of Medicine in 2003. He completed his residency in Internal Medicine at the University of Chicago Hospitals from 2003 to 2006 followed by clinical fellowships in cardiology and cardiac electrophysiology at the University of Michigan from 2006 to 2011. He has an interest in improving access to electrophysiological healthcare to third-world nations philanthropically. His other research interests include advancement of ablation strategies for atrial fibrillation, premature ventricular contractions and ventricular tachycardia. He has published more than 20 peer-reviewed articles, edited seven book chapters as well as a cardiovascular manual - Inpatient Cardiovascular Medicine- which has a focus on medical education for primary care physicians. Finally, he is currently the assistant program director for the cardiology fellowship at University of Illinois College of Medicine in Peoria IL. Eric Puroll is the Project Manager of Project My Heart Your Heart. His duties on the project include volunteer oversight, device recondition oversight, donation request oversight, and managing the newly approved international clinical trial set to begin in late 2018. He graduated with a Bachelor of Science in Biology and Chemistry from Hartwick College in 2011. He has been a contributor to the project since 2013. 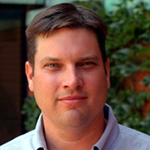 Apart from Project My Heart Your Heart, Eric is the Project Manager for the International Cardiac Sarcoidosis Consortium and has been a collaborator for the Michigan Anticoagulation Quality Improvement Initiative (MAQI2) registry since 2011. He is excited about the momentum Project My Heart Your Heart is gaining and looks forward to overseeing a successful clinical trial to prove device reuse is safe and effective at treating those medically underserved. He looks forward to being able to assist on medical missions in the future with the Project My Heart Your Heart team. If you have any questions of concerns regarding Project My Heart Your Heart, please contact Eric at epuroll@med.umich.edu. Kevin Weatherwax has 20+ years of experience in developing regulatory pathways for pharmaceuticals and medical devices and is a recognized and published regulatory expert. Kevin's role at the University of Michigan Health System (UMHS) has been instrumental in the development of institutional policy and processes as it relates to US Food and Drug Administration (FDA) regulated research at the University of Michigan and beyond. As a founding member of Project My Heart Your Heart, Kevin has been pivotal in the process of obtaining FDA approval for Export Permits to make pacemaker re-use a reality. 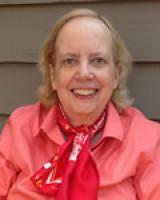 Patricia Sovitch has been a nurse at the University of Michigan for 22 years. She is currently working in the Electrophysiology/Device Clinic. She provides outpatient follow-up for pacemaker and defibrillator recipients and facilitates support groups for ICD patients. She received her undergraduate nursing degree from Michigan State University in 1987. She is currently enrolled in the Graduate Family Nurse Practitioner program at Michigan State and is expected to graduate in May 2010. She has a great interest in providing health care to underserved populations. She has served on medical missions in Nicaragua, providing medical care to thousands of patients. She also volunteers at local clinics that provide free medical care to low-income uninsured adults and children. 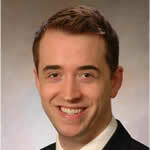 Dr. Andrew Hughey is a resident physician in internal medicine at the University of Michigan. He majored in engineering at Dartmouth College and earned his M.D. from the University of Chicago Pritzker School of Medicine in 2012. He has co-authored several articles about pacemaker reuse, including a review article, an article reporting on electrophysiologists' views regarding pacemaker reuse, and an article about the role pacemaker reuse in the promotion of cardiovascular health worldwide. As part of his work with My Heart Your Heart he has traveled to Ecuador to conduct survey research regarding patients' and family members’ attitudes toward device reuse. 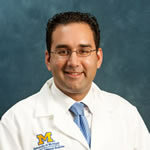 At the University of Michigan he has also been involved in outcomes research utilizing the Michigan Anticoagulation Quality Improvement Initiative (MAQI2) registry as well as the Cardiac Sarcoidosis Consortium. He plans to sub-specialize in cardiology and pursue academic interests in outcomes research and global health. Noah Klugman is a collaborator with Project My Heart Your Heart. He is a Research Associate at the University of Michigan, where he received a Bachelor of Science in Computer Engineering in 2013. He is fascinated by the potential for technology to alleviate suffering around the world. Currently, he researches impactful wireless sensor networks and embedded systems under the guidance of Dr. Prabal Dutta. Noah has worked on projects ranging from developing new technologies to support smoking cessation programs to testing the flight software on NASA’s Mars Science Laboratory mission. While completing his undergraduate degree, Noah was a member of an interdisciplinary team where he helped design a prenatal stethoscope requested by doctors in Ghana. In addition, he is a co-founder of pedMed, a company that gamifies pediatric home medical monitoring. Dr. Arlinghaus has been influential in enhancing the growth of Project My Heart Your Heart. She has produced over 1,000 business cards for the project and they have been distributed throughout the state of Mississippi. She has formed a small group in Meridian, MS that looks to establish a foothold for the project. Lindsey graduated from Monroe High School in 2008 and went to University of Michigan Medical School. 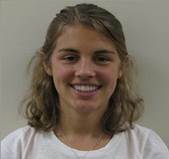 She has enjoyed volunteering on mission trips to Haiti and Alaska as well as working with Project My Heart Your Heart here at MCORRP. Lindsey is very thankful for the opportunities and experiences she has had as an intern at MCORRP as well as all of the wonderful people she has met. In addition to performing logistical work for Project My Heart Your Heart this summer, Lindsey wrote a paper on the views of morticians, patients with a cardiac device, and the general population regarding device reutilization. The support of these groups is a crucial component of a device reutilization program. Ninety morticians, one hundred patients, and 1009 general patients at University of Michigan Health System clinics were surveyed. At the time of the survey, over 84% of devices explanted by morticians were either stored in funeral homes or discarded as medical waste. A high percentage of morticians (89%), patients (87%), and the general population (71%) expressed a desire to donate to patients with financial need in underdeveloped countries if provided the opportunity. Given these data, Project My Heart Your Heart believes that their program will receive much support and potentially save millions of lives. Dr. Romero was a found member of Project My Heart and assisted the project in establishing a foothold in the Philippines. Josh was a founding member of Project My Heart Your Heart and assisted the project since its inception. With its headquarters in Detroit, World Medical Relief was established in 1953 to address the needs of Korean War orphans. Over the years, the organization has expanded its mission to impact the well-being of the medically impoverished on a local, national and international basis and provided medical aid to thousands of under served people in the Detroit metropolitan area and in over 130 developing nations worldwide. WMR achieves this through the collection of financial donations and goods, including medical, dental and laboratory items, as well as through the purchase and distribution of such commodities. Goods are distributed in a non-discriminatory manner without regard to race, color, gender, religion, nationality or political beliefs. Headquartered in London, United Kingdom and registered in England and Wales (Company Number 8463468 / Charity Number 1156045). 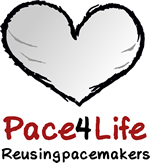 Pace4Life is a not for profit that was established in 2012 to reuse pacemakers in the developing world. Since inception, the organisation has expanded its mission to include Brand New and Out of Shelf Life devices (Pacemakers and ICD's) across developing nations worldwide. Pace4Life achieves this through the collection of financial donations and goods, including medical, laboratory items, as well as through the purchase and distribution of commodities. These goods distributed in a non-discriminatory manner, working in conjunction with other charitable organisations, hospitals and governments worldwide.